January | 2013 | Sylvie Jacobs writing Self to Self-Honesty ........ The first step is always the awareness that everything has always been an illusion - so let it go. 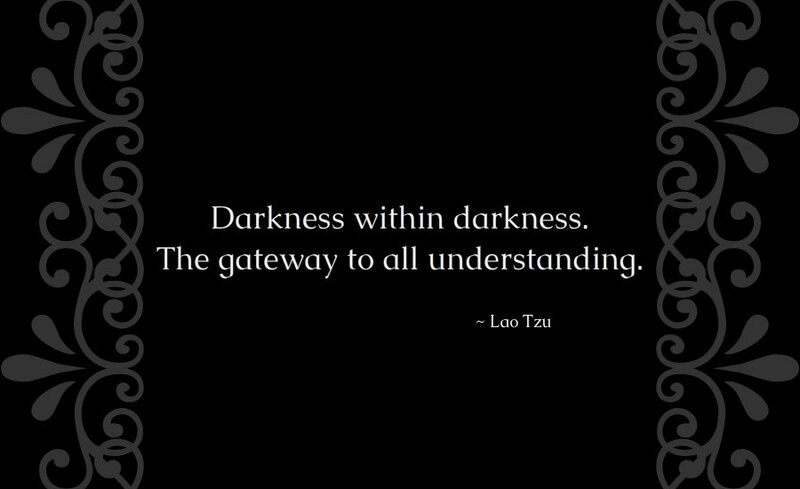 Lao Tzu ~ Darkness within Darkness. The gateway to all understanding. * Why is facing the Evil/Darkness of ourselves/the Mind the Key to Self-Awareness? What does it mean to “face the Evil/Darkness of ourselves/the Mind”? * What’s the consequences been of us fearing our own evil/darkness/negativity? * Why do the Negative/Evil/Dark of ourselves/the Mind represent the inherent nature of our Beingness?